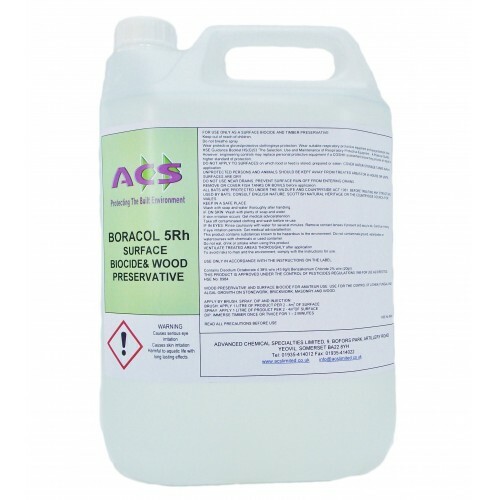 ACS Boracol 5Rh Teak deck treatment. Boracol : Kills algae and moulds. 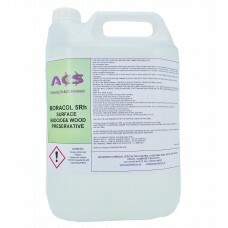 BORACOL is a fantastic product for cleaning and restoring your yachts teak deck. A simple easy application of Boracol will see your slippery mould / algae covered teak deck restored to it's former glory of a smooth silvery finish. Boracol is recommended by Halberg Rassy and X-yachts to the owners of their yachts to treat their decks. Boracol can also be used to clean many other surfaces such a fibre glass, boat covers. You will receive a full data sheet with all preparation and application data. 1. Wash down to remove all dirt and coatings . Allow the surface to dry out until just damp. 2. Apply one coat of Boracol by brush, roller or spray, til refusal ( that is visibly wet on the surface but not running off ). Avoid any run off to other areas. 3. Allow the surface to dry out until just damp. Do the work on a dry day. If it rains too much the Boracol will be washed away. It doesn't matter if it's drizzling the next day . The surface being just damp will help the Boracol penetrate into the wood. Please note there is not always a positive result immediately. This brush is ideal for the application of Boracol and many other wood preservation treatments like ..